Is Hollywood still capable of writing interesting characters? It's distressing how rapidly mainstream films are losing touch with the opening thirty minutes of a story, failing to engage us with detailed characterisation, interesting backstories and personal motives to drive the character's personal reasons for their journey. Character development is reduced for the sake of action because studios doubt the attention span of audiences. 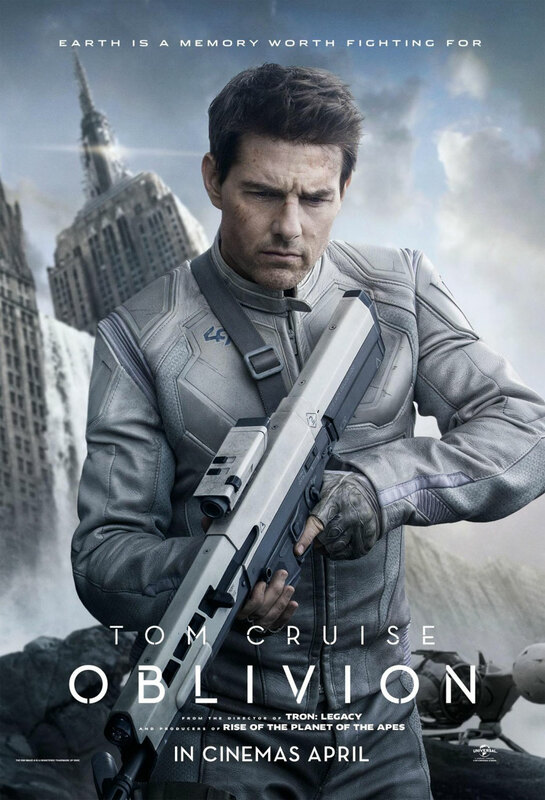 Oblivion was based on an unpublished graphic novel by the film's director Joseph Kosinski (TRON: Legacy) and is inexcusable for its dreary writing and vacuous characters. Peaking just over the two hour mark and featuring a rich cast, this is should have been brimming with personality and energy. Instead, this is a long, dry, waste of talent, prioritising its leading man's stunt capabilities over its tired science fiction tropes. 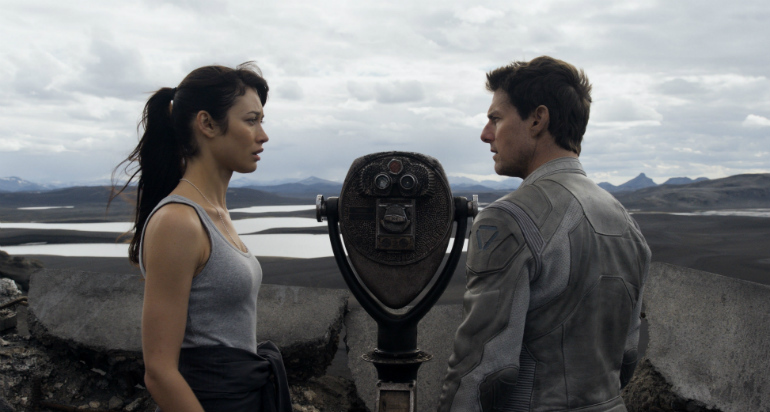 In the year 2077, Tom Cruise plays space soldier Jack, whose voice-over tells us that the Moon has been destroyed due to an invasion on Earth by the Scavs. The Scavs lost the battle in a nuclear war, which means that Jack and Victoria (Andrea Riseborough), living on a penthouse above the ruins of the Earth, and are tasked by Sally (Melissa Leo) to be on cleanup duty by repairing aerial drones and taking down remaining Scavs. Jack has had his memory wiped but is still haunted by faded recollections of Julia (Olga Kurylenko), a woman he sees in his dreams. He is also troubled by his increasingly dangerous missions around the Earth, discovering a conspiracy about what really happened and the appearance of the mysterious Beech (Morgan Freeman). Relying singularly on Cruise proves fatal. I don't think I've ever him this dull before. Fifty years old, he's no longer playing a character but an avatar that moves between stunts. His role is terribly written, lacking any personality or characterisation and failing to utilise his charisma. With a join the dots plot, the film is mostly action substituting story. Each of Jack's missions is a setpiece, with a small clue for the overall mystery tacked onto it. You can imagine the pictures of the graphic novel laid out in production instead of the script - such is the thinness of the narrative. Someone also decided that Cruise shouldn't be upstaged by the other actors so the female characters are largely distanced from the action and both Morgan Freeman and Melissa Leo are treated expendably. Freeman only has two or three scenes, wearing a silly outfit of a cloak and sunglasses, smoking a cigar, while she's left to being a talking head on a computer screen. Kosinski has said that the film is about love, because of a familiar subplot involving a forgotten love interest, but that's unjustifiable when the lead is surrounded by two equally bland women with no chemistry between them. 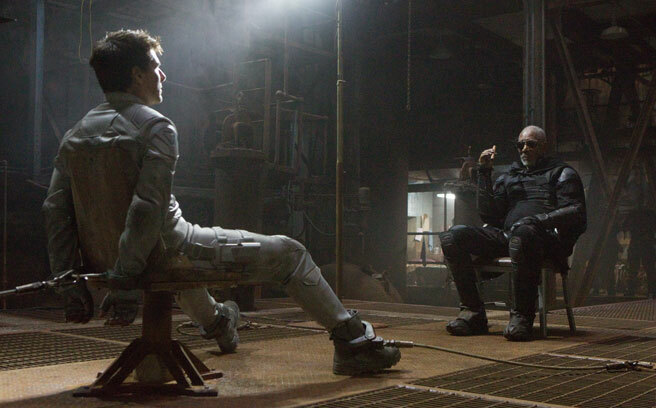 Their dialogue is dull, stilted space jargon, which fails to add any feeling or warmth. Among the many science fiction clichés are clones, mole people, and oppressive computers, thinking by themselves. The only original facet I considered was whether there was a social comment about unmanned military drones attacking people, which is admittedly a rather timely thought. It seemed more interesting than the superfluous and tensionless action, where Jack is able to survive multiple falls and injuries. Some might debate the complexity of the film's survivalist and dystopian themes, but where is the emotional hook? Before a film can engage you with its concepts, it must allow you to invest in its characters, which can then be used as an embodiment of the themes themselves. 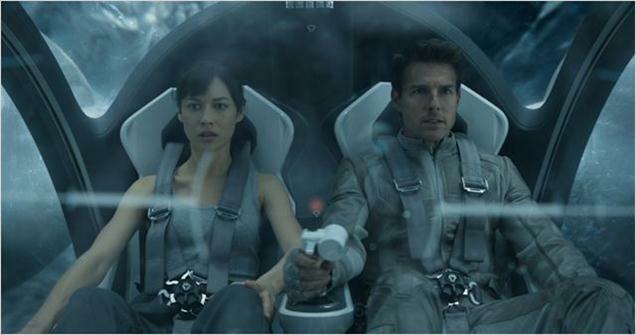 Without this attachment, Oblivion is an interminable crawl and the worst that can be said about the film is that despite borrowing heavily from The Matrix and Inception, its ideas dissolve from your mind as quickly as the film.